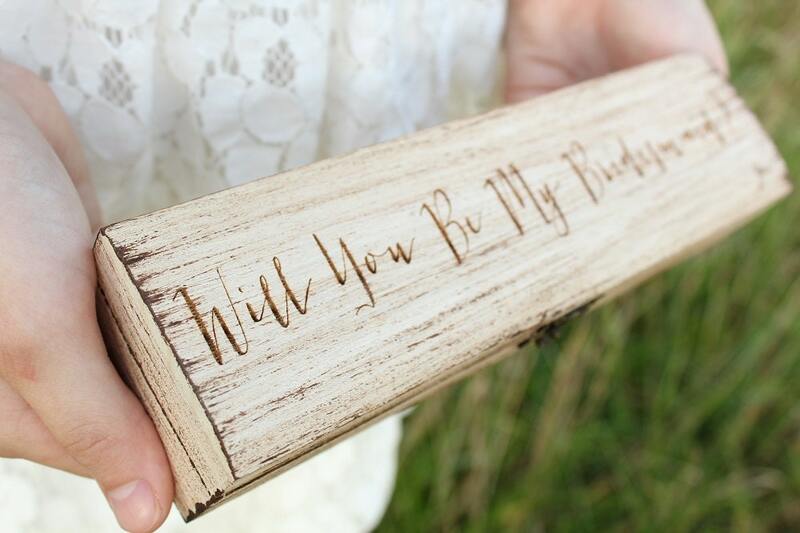 Custom Rustic laser engraved wood gift box. Perfect for gift giving and more.! 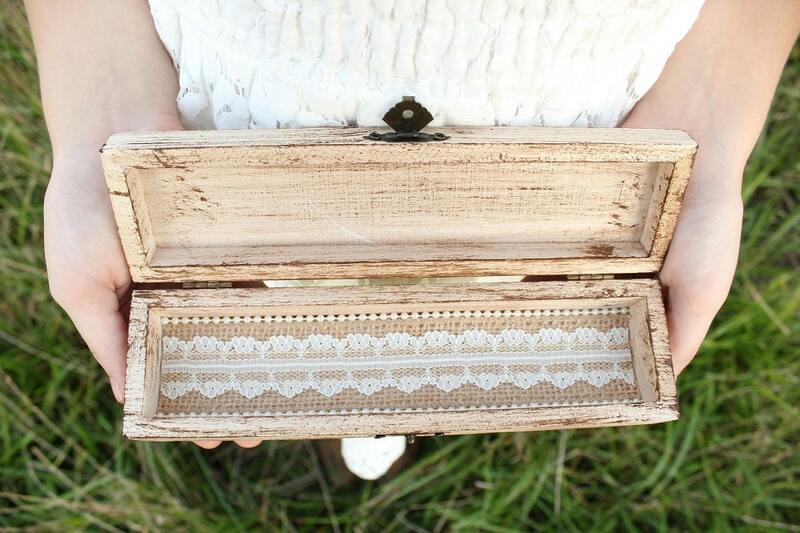 ♥ Unfinished wood box with antique brown glaze. ♥ Antique brass hinge and hasp. 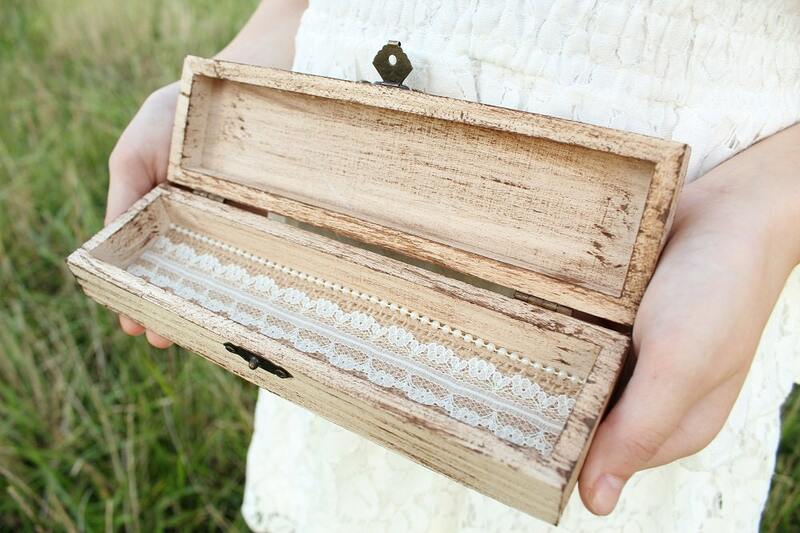 ♥ Burlap and lace with pearls lining. Please leave in the notes to seller what you would like to have engraved on the lid. 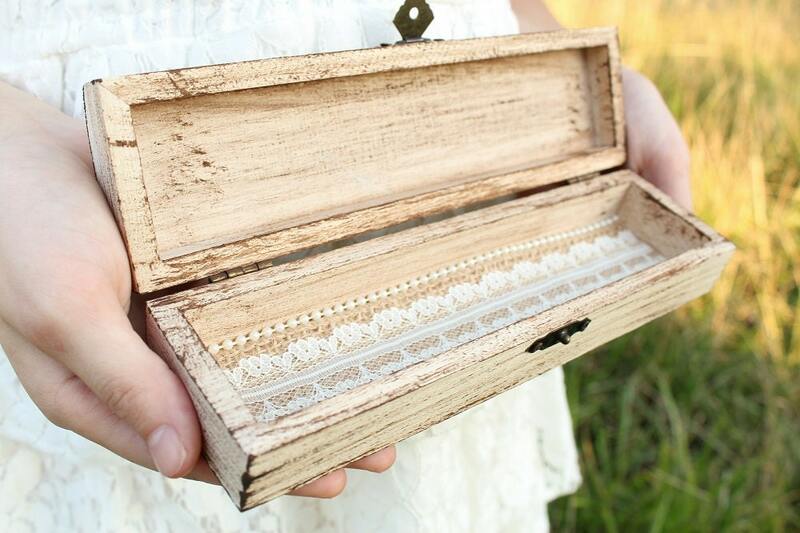 Each box measures: 7.9" x 2.2" x 1.6"
Love love love!! This husband and wife are so nice and such a pleasure to shop with! There work is beautiful!! 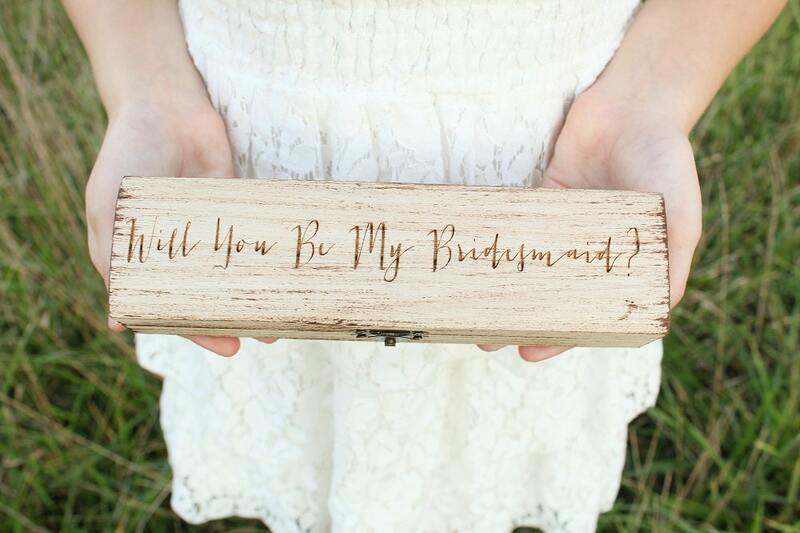 Can't say enough good things I love my bridesmaid boxes and so will my friends. Thank you! !